Beyond the economic arguments, there’s the intimate spiritual understanding that some things come to us only by not wanting them. Joy comes to us when we en-joy what we were not anticipating, did not expect, or earn, or deserve. 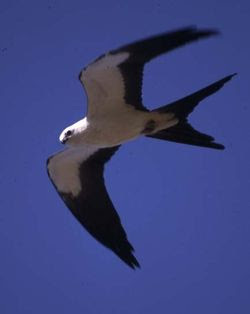 Imagine standing in your backyard and looking up and seeing a swallow-tailed kite fly over. There’s a joy and a grace in that – maybe small, maybe it makes your day. The fact that you didn’t make it happen is a crucial component of that experience. Had you paid someone to capture a swallow-tailed kite and release it from a tree behind you at just that moment, then seeing that kite would be a very different experience. It would be one more experience of control and reward – rather than of simple open-ness and grace. So I ask: do you show up at your congregation in order to learn how to grow in faith, to open to life’s gifts, to live in grace? Grace is unpredictable and uncontrolled – and it is also invisible if we aren’t open to it, if we’re so caught up in what we can control that we don’t notice anything we haven’t intentionally manipulated. Grace just takes paying attention. You can’t earn grace, but you can work on your attentional skills. Your congregation can help with that, if you’re ready to be helped. I’ve been around congregations most of my life – in an ordained capacity for nearly nine years years now (since 2004). I have to admit I don’t know whether most congregants are simply there for the community – which is wonderful, and is a blessing – or there to engage in becoming more open to, more appreciative of, more grateful for, more aware of, life’s abundant, free, unearned and unearnable gifts. Are you at your congregation to be transformed into a being of ever greater love and joy, open to the greatest gifts, those you’d never have thought to desire? Or are you there to meet the needs you already had, to get something you knew in advance that you wanted? I know there’s a paradox here. I seem to be inviting you to want something (grace) without wanting it (because wanting makes you try to control its occurrence). I can only say that I feel a spaciousness in the acceptance and openness to what comes – and that contrasts with the constricted narrowness in which I do spend much of my life working out how to control things so I’ll get what I had previously determined to want. If you were to decide that you did want faith deepening, you can’t buy it, can’t control it, can’t make it happen – which is to say, it is not one more object of greed. But you can, with unpredictable and irregular results, nurture faith. There are things you can do to nurture it on purpose, if you wanted to. You could do those things privately, by yourself. Maybe you do. It’s more fun, and more likely to happen, if we do them together. Moreover, we do need to be aware that the spiritual path is a tricky one. The very practices to open us to uncontrolled grace can so easily turn into technologies of attempted control. At that point, “spiritual practice” is just one more ego delusion. That can happen. 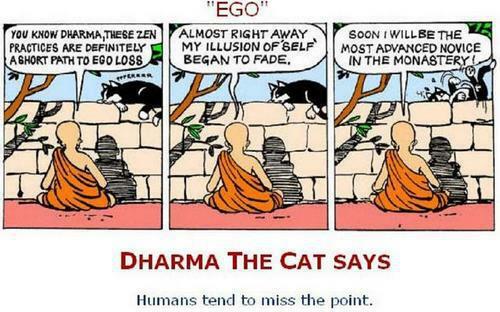 See how spiritual practice itself so easily gets co-opted by ego? The path toward liberation can turn into yet another snare. Having each other along the path, a community of accountability, helps us stay on the path without the path becoming delusive. Left to ourselves to practice, our egos will tend to wind the spiritual path into one more on-ramp to the ego highway -- all the more insidious because disguised as "spirituality." Gordon Gekko's original paean to greed was certainly an ego trip, but at least it did not suffer from the particular delusion of imagining itself to be "spiritual." If you were to decide that you did want faith deepening, then look for at your congregation – or, if necessary, ask your congregation to develop -- programs and structures through which that deepening can be practiced with others. With both -- with community of faith and faith of community -- we have a chance to transcend greed and move into grace. We have a shot at freedom. Next: Part 14: "Pastors and Prophets"
Previous: Part 12: "Counterweight to the Market"
A truly wise 'finger pointing at the moon' ... it will be interesting to see 'who' turns to look!